From the creator of Big Bear Hug comes the comic-adventure story of a mild-mannered moose who learns how to take life by the antlers. This moose may live in the wild, but he doesn't act it --- he watches from the sidelines as his friends have fun. Every now and then, he wonders if he's missing out on anything. When the moose finally takes a chance and goes on a solo sailing trip, a raging storm carries him far from everything he knows. Will he curl up in a ball and cry, or make the most of it? The moose's unlikely hero-journey is a lighthearted, contemporary fable that celebrates living life to the fullest. Winner of the 2018 Pura Belpre Award! "A book for anyone mending from childhood wounds." --Sandra Cisneros, author of The House on Mango Street In this unforgettable multicultural coming-of-age narrative--based on the author's childhood in the 1960s--a young Cuban-Jewish immigrant girl is adjusting to her new life in New York City when her American dream is suddenly derailed. Ruthie's plight will intrigue readers, and her powerful story of strength and resilience, full of color, light, and poignancy, will stay with them for a long time. Ruthie Mizrahi and her family recently emigrated from Castro's Cuba to New York City. Just when she's finally beginning to gain confidence in her mastery of English--and enjoying her reign as her neighborhood's hopscotch queen--a horrific car accident leaves her in a body cast and confined her to her bed for a long recovery. As Ruthie's world shrinks because of her inability to move, her powers of observation and her heart grow larger and she comes to understand how fragile life is, how vulnerable we all are as human beings, and how friends, neighbors, and the power of the arts can sweeten even the worst of times. Jim Thorpe and the Carlisle Indian School Football Team is an astonishing underdog sports story—and more. It’s an unflinching look at the U.S. government’s violent persecution of Native Americans and the school that was designed to erase Indian cultures. 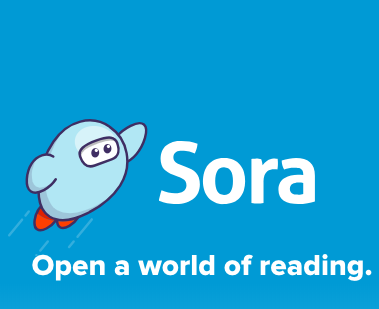 Librarians: click on the Sora tab in our LIbGuides for all kinds of FAQs and resources about Sora, Overdrive Marketplace, and more! In-depth demonstration of purchasing practices. How-to webcast, including curated list idea and more context. Step-by-step guide to creating curated and automated collections for Sora. Step-by-step guide to Assigning Titles in Marketplace. Step-by-step guide to managing Content Access Levels in Marketplace. Use this infographic to help you determine which access levels to use to make sure students are seeing the right materials. PowerPoint presentation from Lauren and Sydney when they presented here at our General Membership meeting in October to "roll out" the new SORA platform from Overdrive. 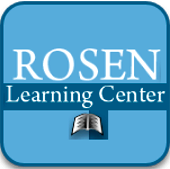 Click on the icons below to go to Rosen Learning Center or ePointPlus. Once there, select the eBook(s) you want to see - then click on the book to open it up! CLICK LOGO (ABOVE) TO LINK. YOU MAY HAVE TO SIGN IN. GO TO YOUR LIBRARY'S GALE DATABASES, AND CLICK ON THE GVRL LINK. WSWHE SLS purchased 24 eBooks through Gale for the 2015-2016 school year. These titles were selected primarily to support Grade 7-8 Social Studies Framework and Toolkits as additional resources.